Finding the perfect gifts for your man on Valentine’s Day can be a daunting task. Store-brought gifts are often difficult because manufactured gifts may be overly sentimental and thus have limited appeal to guys. 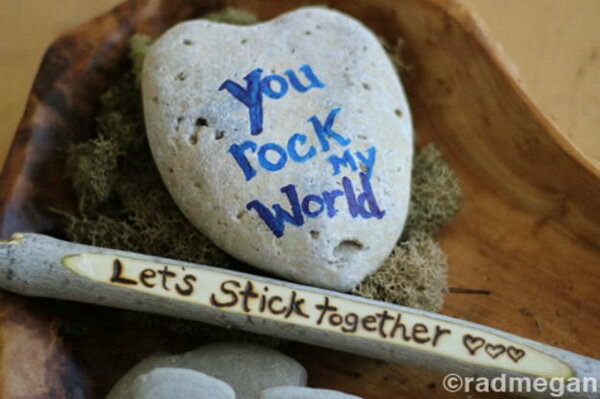 Then why not make your loved ones feel special by giving them a DIY gift? The time, effort, and love you spent on these gifts would surely make them smile. 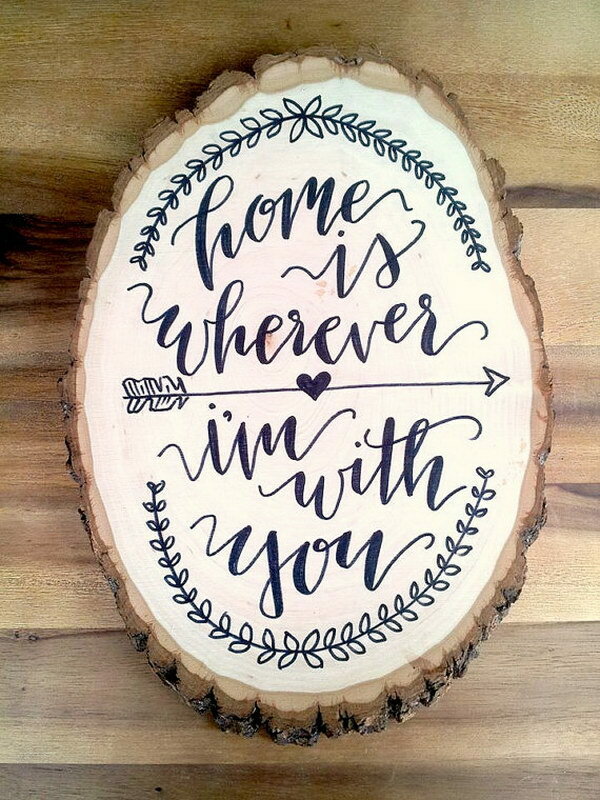 Here we have rounded up some creative and romantic Valentine’s gifts that you can totally make yourself for your boyfriend. Browse our full collection to find unique Valentine’s Day gift ideas for him of all styles and personalities. Create these very sweet “Open When” letters for him to open in different situations, like Open When You’re Sad, Open When You Miss Me, ect. Instructions via LDR 13. 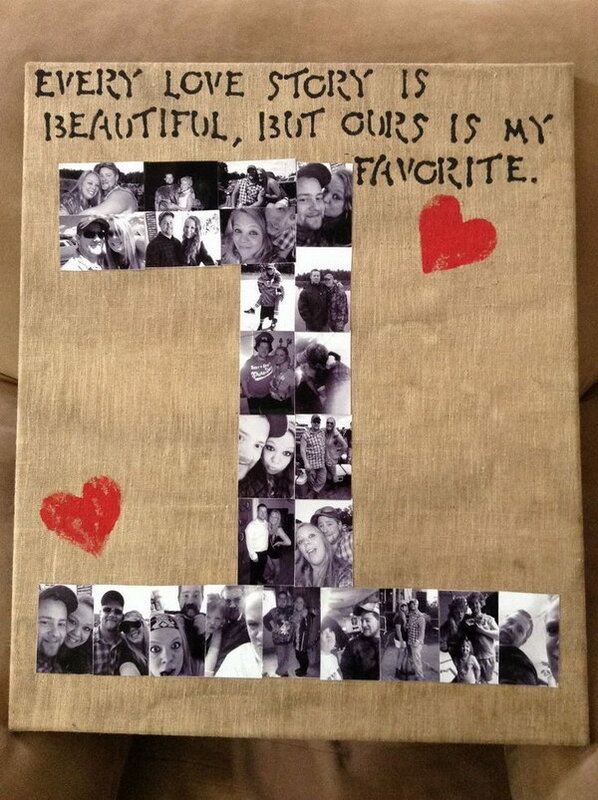 Super easy and fun to make this gift. 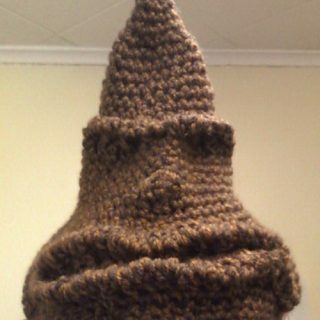 You can fill his favorite candy, video game, movie, type of socks, etc. in a bag. 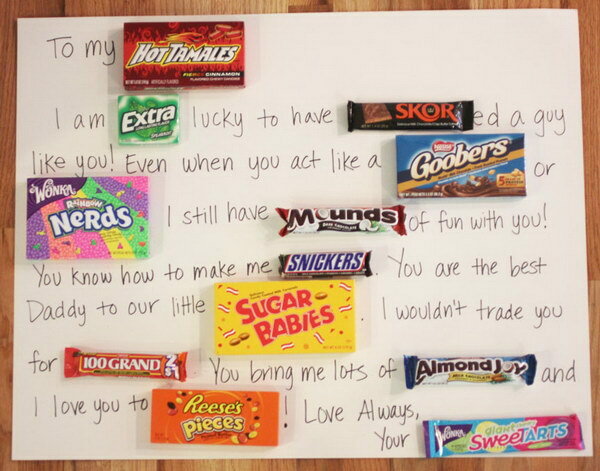 If you know your BF really well, this can be easy and something that he will be super stoked to receive. Photo credit Pinterest. 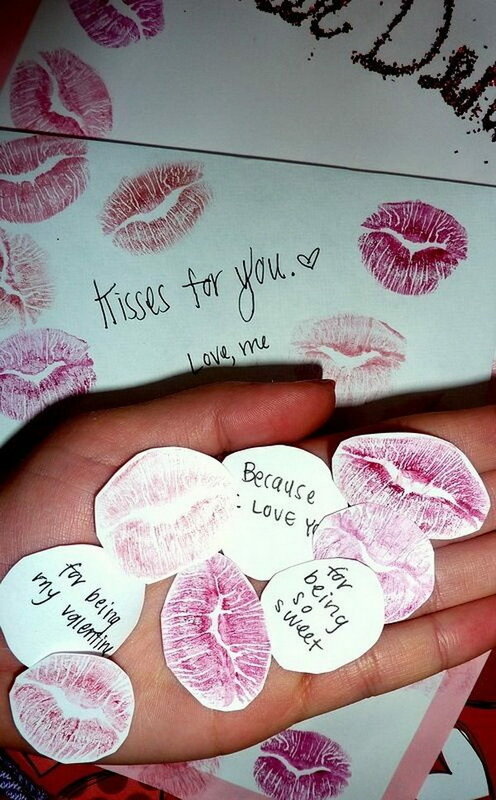 Cut out lipstick kiss marks and write sweet notes on the back as a cute gift for boyfriend. What a romantic and heart felt love gift! 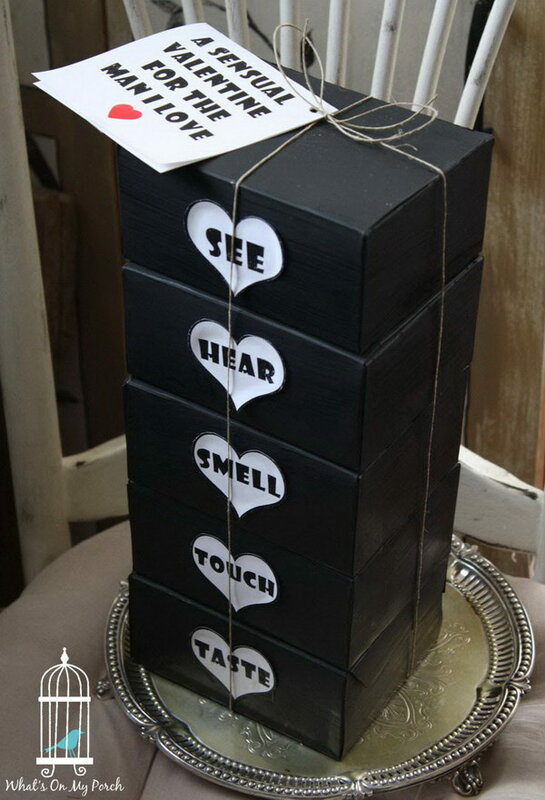 via weddbook. 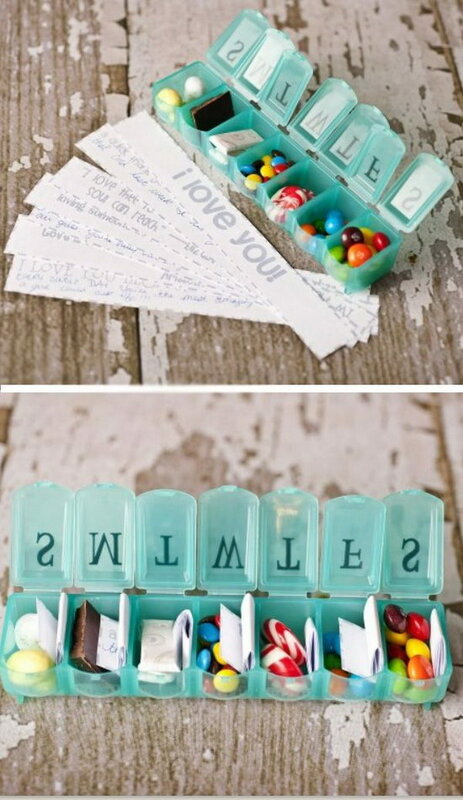 Fill the standard Monday-Sunday pill box with his favorite candies together with seven tiny love quotes, messages and some personal love notes. 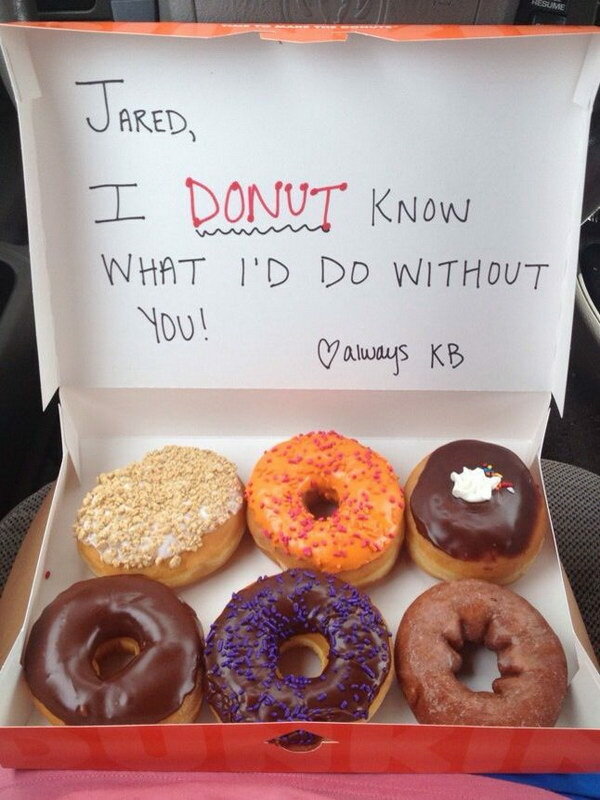 What a romantic idea to give your boyfriend these SEVEN days of love surprises! Via The Dating Divas. DIY heart lightbulb will be a create and romantic gift for your Mr. right! 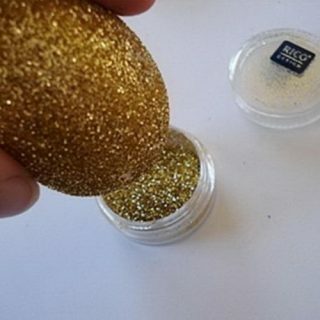 See how to make it via Design Sponge. 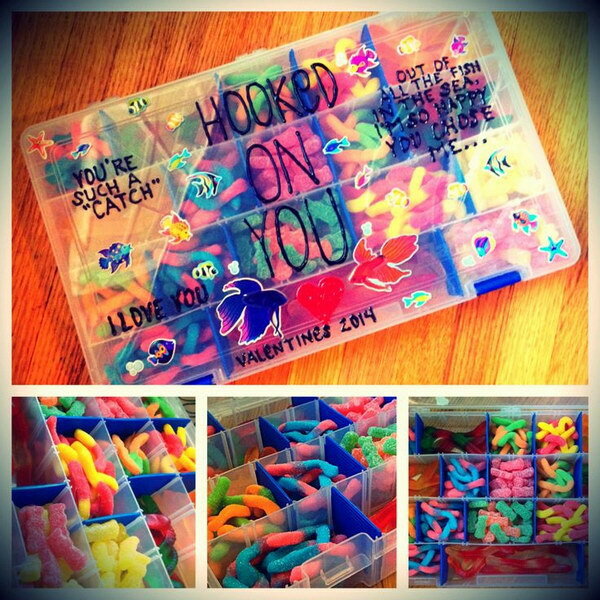 Hooked on you tackle box filled with candy and fishing supplies. 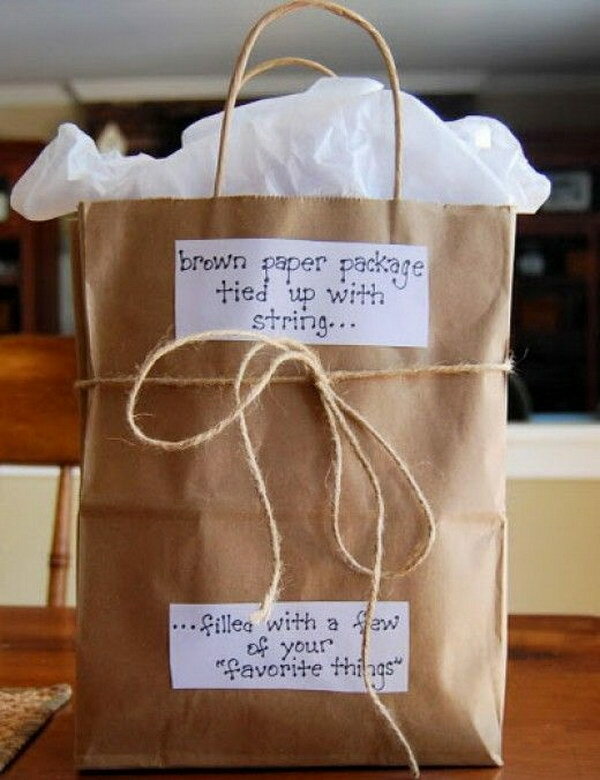 Simple and cheap Valentine’s gift idea! Via Slice of Southern Pie. “You Walked into My Life and Made Me Realize Why It Never Worked out with Anyone Else!” Romantic and creative gift idea to get your guys for Valentine’s Day! Via Powerful Mothering. 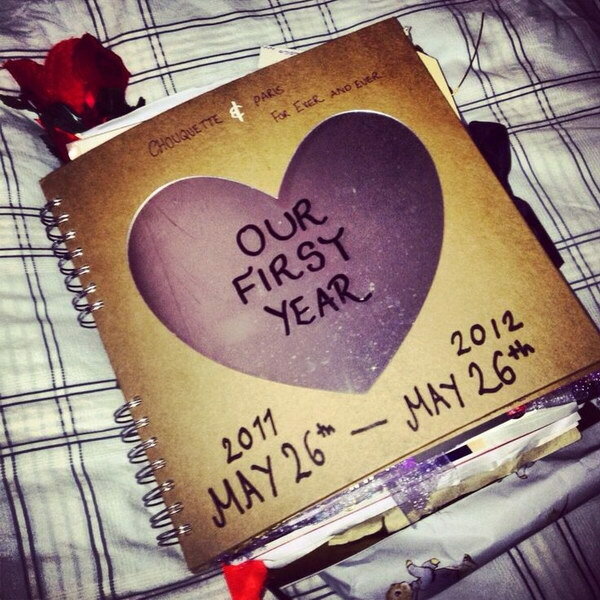 Make a scrapbook of the time you and your honey have spent together and send it as a gift. It can include photos, ticket stubs, letters, movie ticket and more! 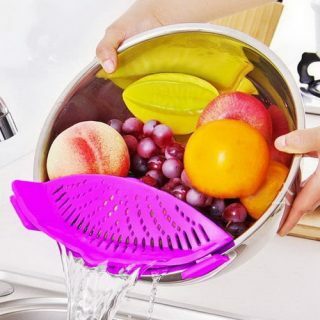 So creative and unigue! 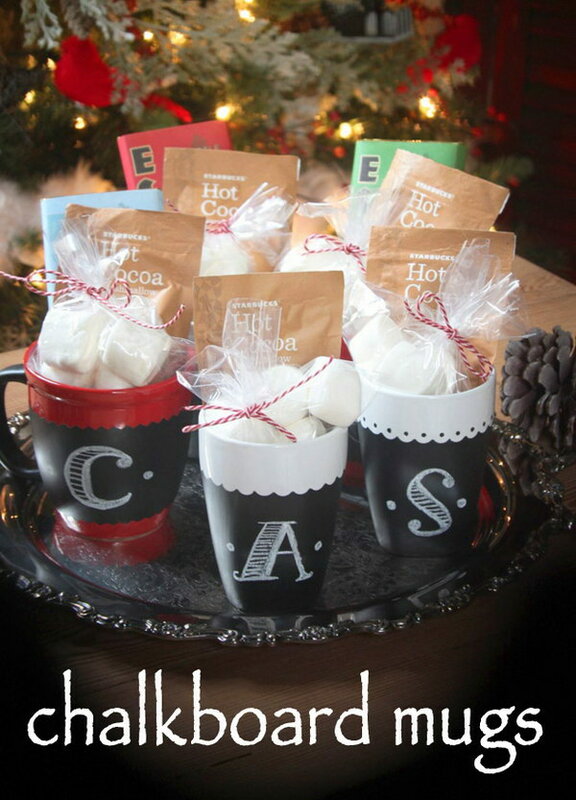 The quick and easy perfect snack gift for you! See the instructions via Gimme Some Oven. 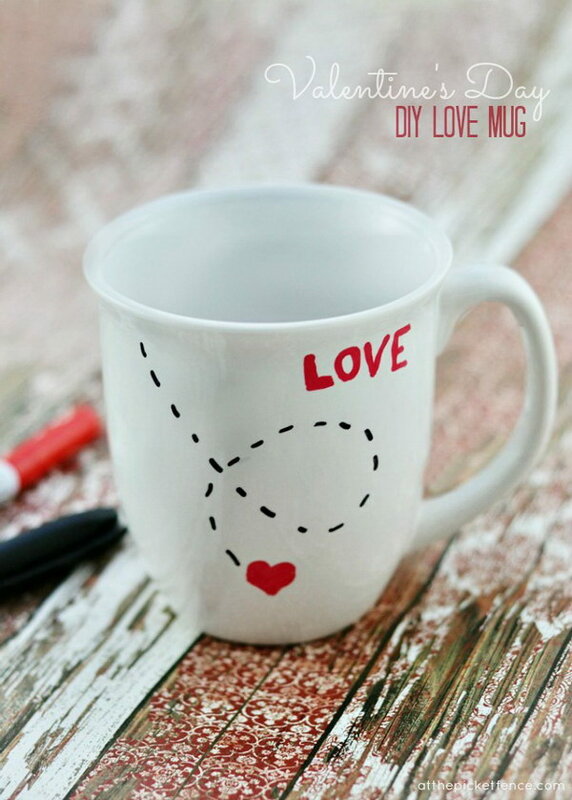 You can easily make this love mug yourself! All you need is an inexpensive mug, paint pens and an oven! 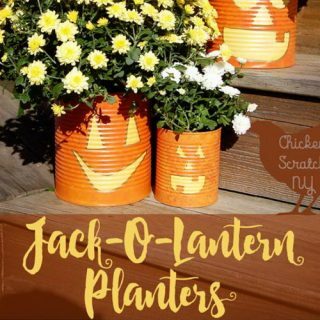 See the steps to make it via At the Picket Fence. It was so easy and yummy to make! 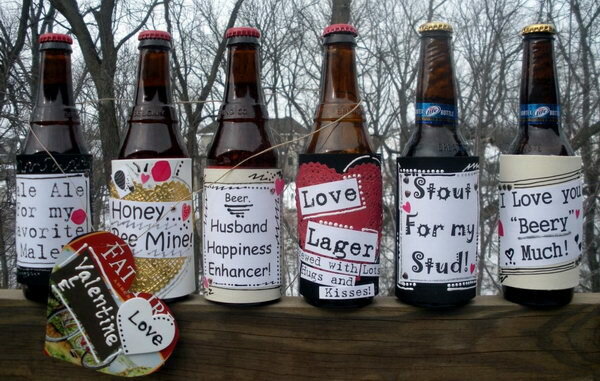 perfect Valentine gifts for him! 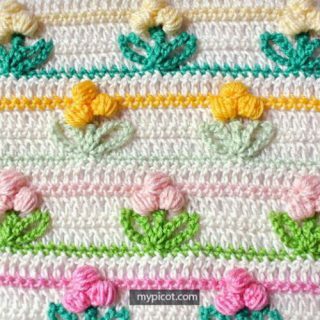 Get the tutorial via The 36 Thavenue. More details via what’s on my porch. 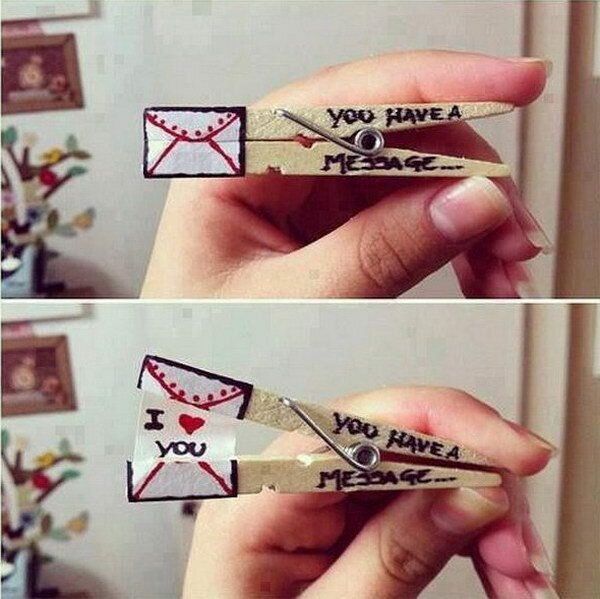 Turn a simple clothespin into a sweet gift for your beloved one via cut out and keep. 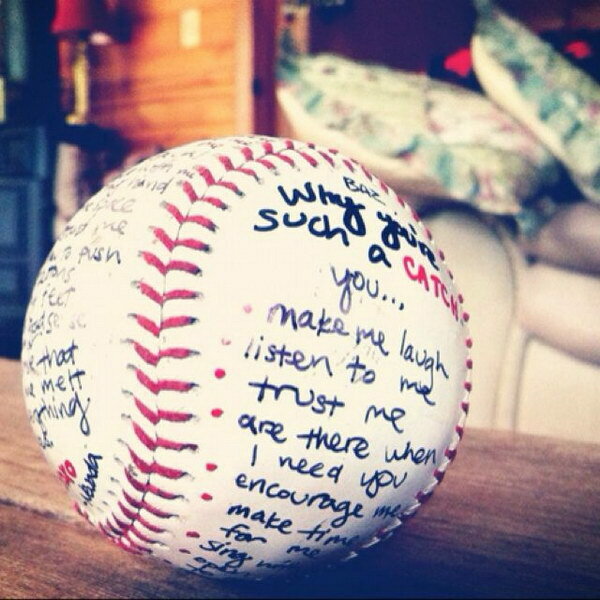 If your guy is a sports fan, this autographed baseball will be a big surprise for him on Valetine’s Day! Photo credit Pinterest. 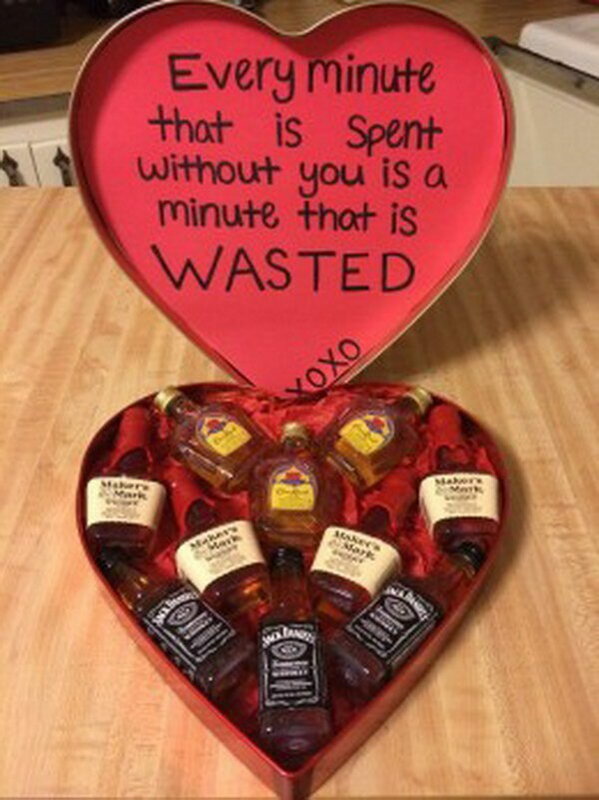 Put his favorite liquors inside a heart shaped tin chocolate box and pop with a sweet note. 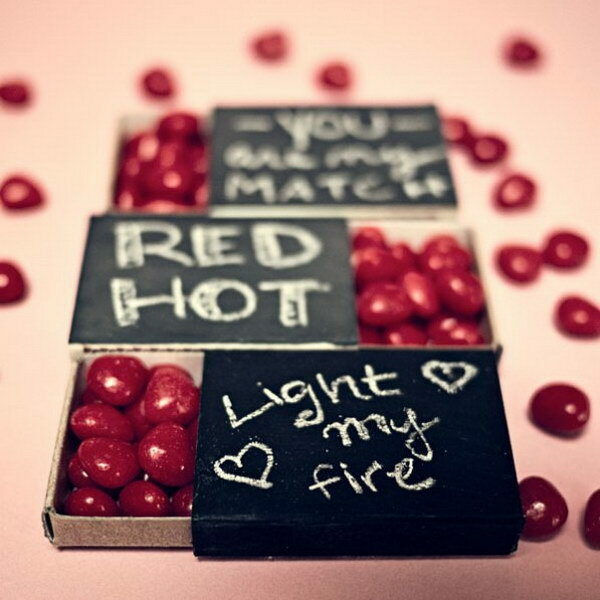 A simple but creative and warm gift for your darling. Tutorial via radmegan. Add more special touch to your conventional Valentine’s card with sweet treats. 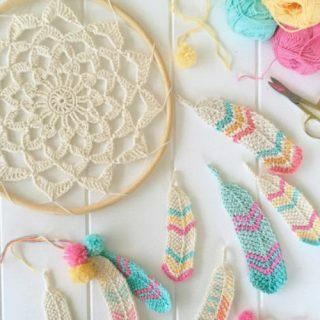 Via Repeat Crafter Me. 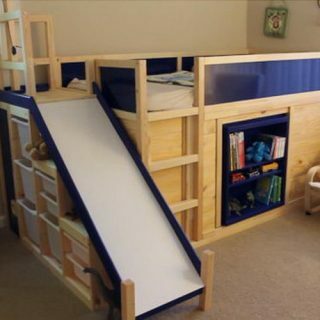 See details via pretty handy girl. 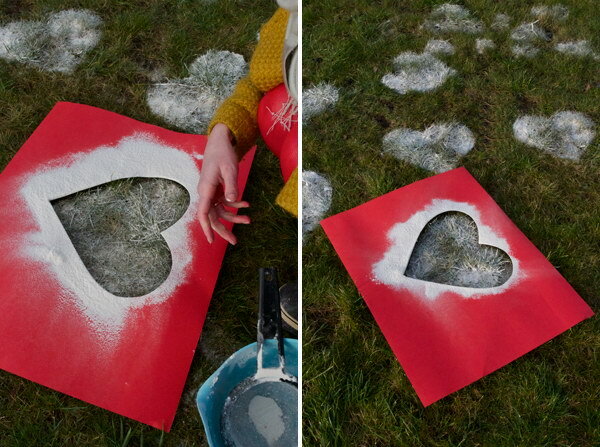 Give your partner a big surprise by making flour hearts in the grass. 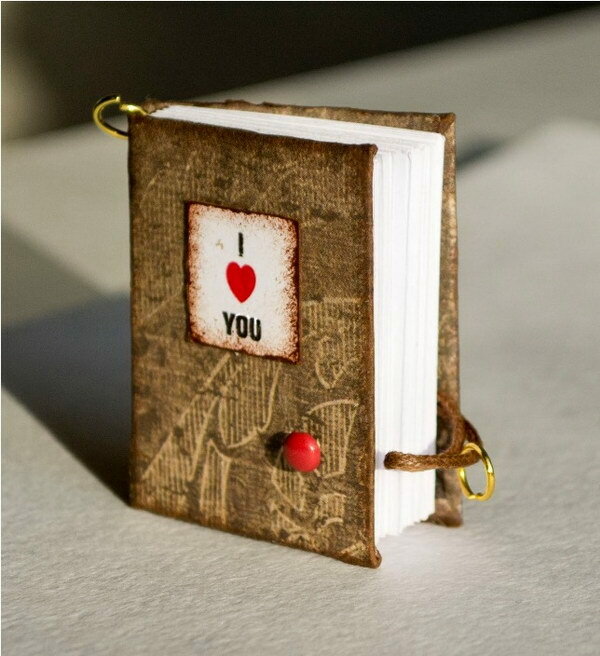 This miniature notebook will provide the perfect gift for your partner if he enjoys writing notes. 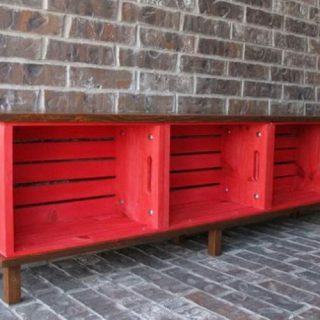 Project details via diy-enthusiasts.